The current wave of divestments of oil and gas assets by the international oil companies (IOCs) to increase indigenous participation in the industry has received a boost as Chevron has unfolded its plan to offer two more oil blocks to prospective investors. The US oil major, it was learnt, plans to divest 40 per cent from Oil Mining Leases (OMLs) 86 and 88, both located in shallow waters off Bayelsa State, bringing to seven the number of oil blocks sold by Chevron since 2013. Chevron had sold its stakes in OMLs 52, 53, 55, 83 and 85 in a string of divestments carried out by the IOC within the two-year period. After the sale of OMLs 86 and 88, Chevron would have disposed of all the shallow water assets it inherited after the acquisition of Texaco in the late 1990s. It was gathered from competent Chevron sources that OML 86 hosts the Funiwa field, including Funiwa 1A natural gas well, which was engulfed in fire on January 6, 2012 when KS Endeavor, a drilling rig, operated by FODE Drilling Nigeria Limited, was drilling a gas exploration well for US multinational. The sources could not confirm the total resources and upside potential of the two oil blocks but it was gathered that the two assets hold considerable resource potential. According to the sources, Funiwa produces over 1,500 barrels of oil equivalent per day. OML 86 also contains the Buko, Sengana, Okubie and Apoi fields, with North Apoi being the largest producer with a production capacity of about 3,300 barrels of oil equivalent per day. It was also learnt that OML 88 contains an undeveloped condensate discovery – Chioma field, as well as Pennington and Middleton fields. A top official of the Nigerian National Petroleum Corporation (NNPC) told ThisDay that the corporation was unaware of the plan by Chevron to sell its stake in the two blocks. He also pointed out that “the Petroleum Act of 1969 provides that the prior consent of the Minister of Petroleum Resources must be obtained before the assignment of any rights, power or interest in any Oil Prospecting Licence (OPL) or Oil Mining Lease”. The federal government has expressed reservation over the usual approach of seeking ministerial consent by the divwesting parties after the divestment has been consummated, pointing out that it puts undue pressure on the minister and also makes it difficult for due diligence to be carried out by the government on the capability of the new buyers to operate the assets. 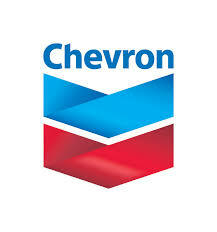 Chevron and Shell, alongside their joint venture partners, recently concluded the sale of their interests in OMLs 71, 72, 83 and 85 to a Nigerian independent company, First Exploration & Petroleum Development Company Limited (First E&P), after over a year’s delay due to lack of ministerial consent. Shortly before the close of the transactions on the four blocks, Shell had concluded the sale of OMLs 29, 52, 55, 18, 24 and 53 to Aiteo E&P, Amni Petroleum, Belemaoil, Erotron, Newcross and Seplat Petroleum.